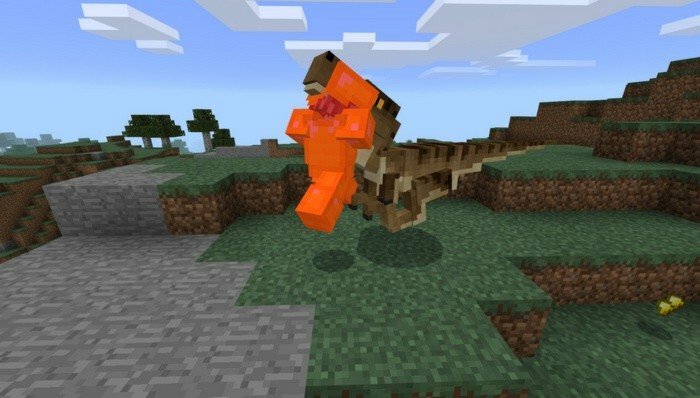 This mod will take you back in time straight into dinosaurs era - and even allows you to tame one. 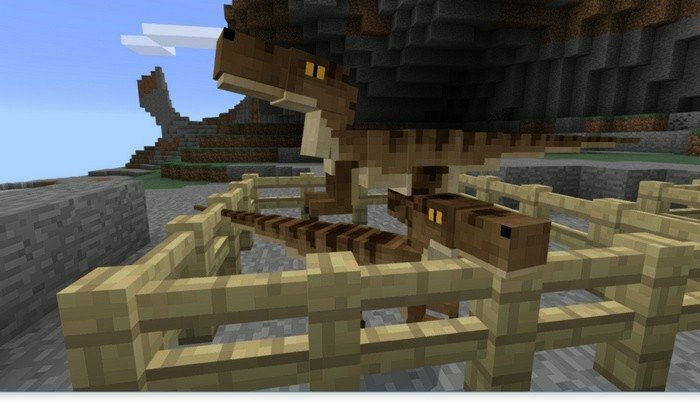 Raptors is only type of dinosaurs, that will be added for now on and it will replace pigs. You can find them around the world and tame them by giving them any kind of raw meat, but that will work only with small ones. After taming you can feed them some more and they will grow up rapidly, until they becomes adult and strong. 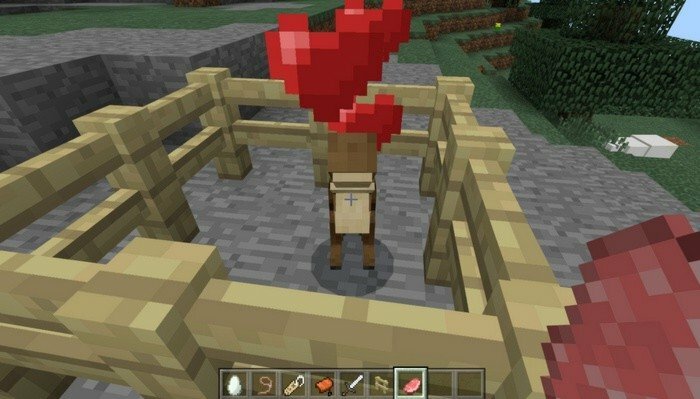 They will become a great companions for you in Minecraft PE and will protect you from aggressive mobs. Tame it at first - Hold meat in your hand, long-tap on the raptor and press "Tame"
Long-tap on it with a saddle and press Saddle. To ride it - long-tap on it with an iron sword and press "Ride".